2302 Middle Street, LLC is a privately-held company located in Charleston, SC, led by principals Patrick W. Marr, Steven G. Kleiman, and David C. Stern. The principals have a combined 75 years of experience in residential and commercial real estate development, investment and construction across the Mid-Atlantic and Southeast regions. Over the past 10 years the principals of 2302 Middle Street, LLC have been involved in the acquisition, development, and/or ownership of over $150 million of real estate product in the greater Charleston area, including the development and historic renovation of over 30 single-family homes in Downtown Charleston. The Middleton Group, formed in 2007, is an award-winning architecture firm that has completed many historic renovation projects in the Charleston area. Laura Middleton is leading the design effort for 2302 Middle Street and brings experience from several historic renovation projects including the Gadsden House, an 8,000 square foot historic property built circa 1798. Arnett Custom Homes is a full service general contractor serving Downtown Charleston and the sea islands for 10 years. Arnett’s experience with historic renovation, commercial properties, and new homes forges a skill set rooted in true artistry that few builders can match. Kelly D. Messier Landscape Architecture & Planning, LLC has been creating timeless gardens and customized outdoor living spaces for upscale residences and luxury resorts in the Lowcountry for over 30 years. Whether designing classic Charleston courtyards, tropical paradises, or clean modern spaces, the firm succeeds in satisfying each client’s lifestyle. Unique swimming pool and spa configurations are designed to blend seamlessly with outdoor fireplaces or fire pits, lounging areas, and outdoor kitchens. Plant materials are selected to provide visual and sensory experiences while accentuating the home and the natural environment. Carol Lund Interiors is a full-service interiors design firm located in Mt. Pleasant, SC. For over 25 years Carol Lund has built a reputation as one of the top high-end designers in the Charleston area. Mrs. Lund’s philosophy and keen eye enable her to create unique spaces for each client. 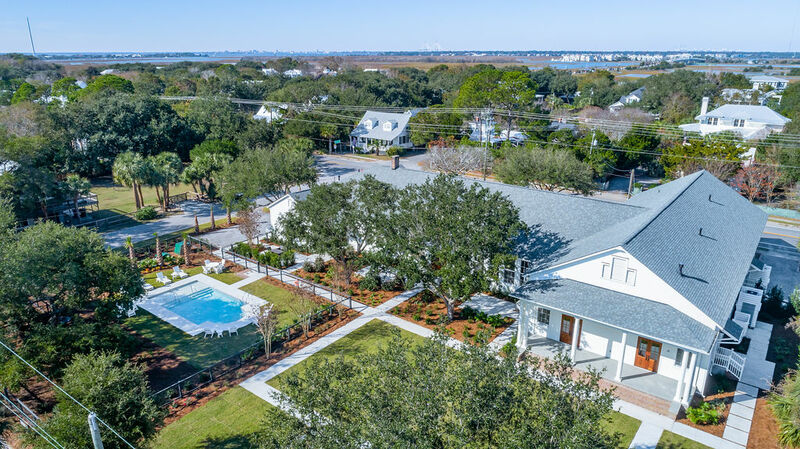 Dunes Properties of Charleston is the premier boutique real estate firm in Charleston County with a 29-year heritage on the Charleston Coast including five offices and 75 specialized agents with extensive experience marketing new developments and communities. Exclusive listing agent Tim Reese is one of the top Sullivan’s Island real estate agents and a current City Councilman. He and his wife Frannie and their children, have been residents of Sullivan’s Island for more than 20 years.